Seagate is partnering with drone maker DJI to develop onboard storage for its unmanned aerial vehicles. They say drone cameras are gaining resolution and flight times are getting longer, both of which mean more data needs to be stored in flight. DJI's Inspire 2 drone can record 5.5K video for example, and a 25-minute flight means 120GB of data. They want to have efficient storage that securely stores, manages, downloads, plays, backups and shares the potentially hundreds of gigabytes of data that can be generated from a single drone flight. The Inspire 2 is compatible with Zenmuse X4S and X5S cameras, which can be fitted with DJI's separately sold and proprietaryCINESSD with up to 480GB capactiy. That costs $899 and uses NVMe connectivity to the camera. The unit has four PCI Express ports and supports FAT32/exFAT file formats. 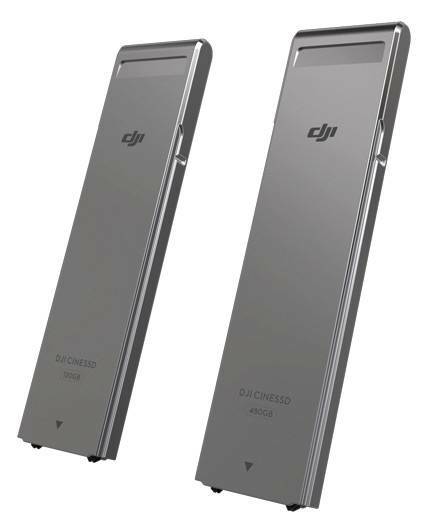 There is a DJI CINESSD Station card reader. When using a 480GB CINESSD, the Inspire 2 can record videos at write speeds of up to 4.2Gbps. The Inspire 2 also has a 16GB Micro SD card and supports Panasonic, SanDisk and Samsung MicroSD cards up to 128GB. The droning duo say they are actively working together to simplify every step of UAV data workflows and intend to announce their first product collaboration later this year. Neither say what sort of device might be developed but some aspects of it will be blindingly obvious. For example, it will be a flash device as disk needs more power and is heavier, reducing battery-powered flight times. The 120GB capacity is no big deal and the device will need reasonable endurance. Seagate's Nytro XM1440 endurance is a 400GB or 800GB M.2 format SSD with an endurance rating of three full drive writes per day for five years, which should be plenty. The 800GB provides capacity headroom and the M.2 format is physically small and light.